Everyday the sun radiates energy down to the earth's surface. These rays of sunlight can be turned into several forms of renewable energies (excluding tidal and geothermal). Renewables are a naturally occurring source of energy that does not come from a fossil or nuclear based fuel. The suns rays are turned into renewable energy in both indirect and direct manners. Indirectly, solar radiation influences the Earth's water, air current, and photosynthesis cycles These cycles are used to generate hydro, wind and wave, and bioenergy respectively. Directly, solar radiation can turned to electricity, as well as absorbed for heating. For further information visit DOE's Solar Energy Resource Basics page and SEIA's Consumer Guide to Solar Power, which informs potential solar residential customers on financing options available, contracting terms to be aware of, and other useful tips. Videos describing some of the technologies found below can be found on ISEA's Educational Videos page. 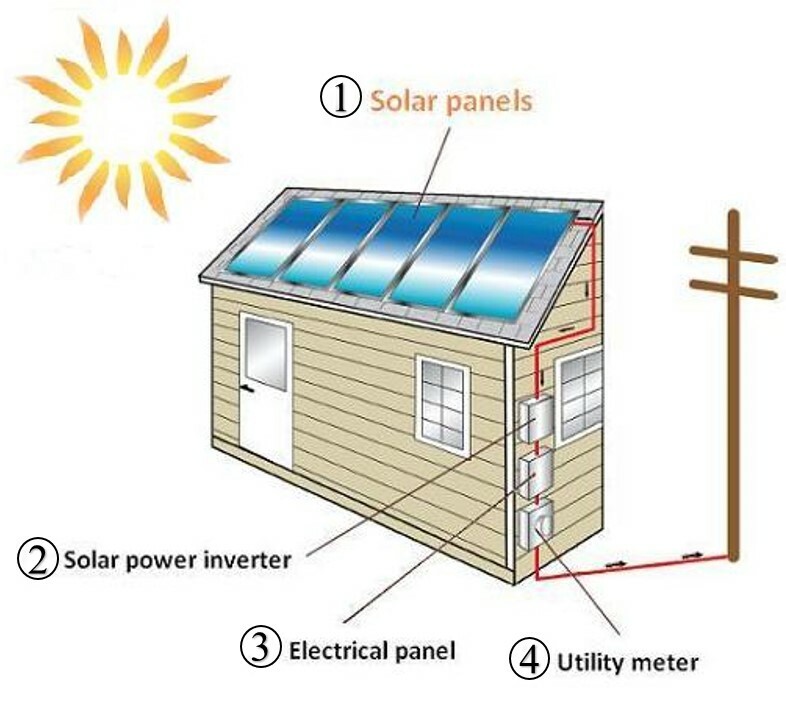 Photovoltaic systems operate using a principle known as the Photovoltaic effect. This effects allows solar pv panel to directly convert solar radiation into electricity. The electricity reaches the inverter and is converted from DC (direct current) to AC (alternating current) which is usable to power the home. The electricity then runs through the homes electric panel. The meter keeps track of electricity used in the building. Any unused electricity is sent to the electric grid. For further information visit DOE's Photovoltaic Technology Basics page. Building scale Active Solar Thermal systems typically involve the use of a solar collector. These collectors contain tubes which hold a liquid that is heated by the sun and is used for domestic hot water. 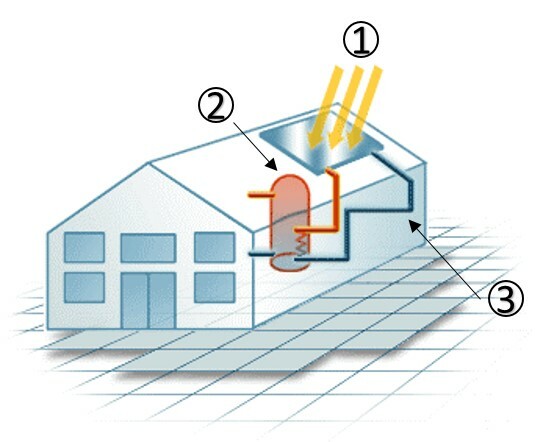 Solar thermal is also used on a utility scale (larger than building) to generate electricity. An example of a utility scale system is provided below. Sunlight hits the panel where liquid filled tubes absorb heat. The heated liquid moves to a tank where the heat is transferred to the water inside the tank. The cool liquid is moved back into the tubes of the solar collector. For further details on Residential Scale Solar Thermal visit HowStuffWorks.com's Solar Water Heaters page. Visit our Community Solar Resources portal to learn all about how Community Solar works! Boyle, Godfrey. Renewable Energy: Power For A Sustainable Future. Oxford: Oxford UP in Association with the Open University, 2004. Print.